Standard auto reset helps avoid downtime. 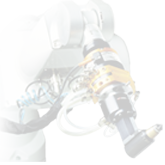 The Protector is ATI Industrial Automation's patented robotic collision sensor designed to prevent costly damage to robotic end-effectors resulting from robot crashes. 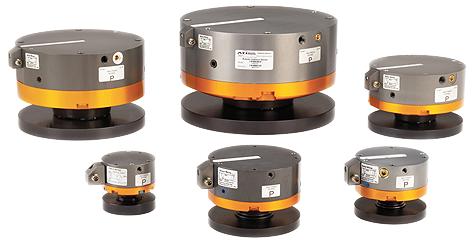 The Protector's features include: automatic reset, high repeatability, large moment rotation, rugged design and low cost. What is a Robotic Collision Sensor? Robotic end-effector or device that can detect a crash before or during a collision of the robot or its tool. Also known as the “Protector”, ATI’s Collision Sensor sends a signal back to the robot controller before or during a collision to have the robot avoid or stop the collision. Robotic crash protection devices are Collision Sensors that detect the collision during the crash. A Collision Sensor is also known as a robot safety joint, robot overload protection device, crash protection device, quickstop (trademark of Applied Robotics), robot safety mount, robotic clutch, or robotic collision protector.